Can the truth be separated from the myths? Fortunately there is enough scientific evidence to guide us in the right direction. Yes, we should be eating protein and there are compelling reasons why. Our bodies need the amino acids in proteins to produce enzymes, hormones and neurotransmitters. Protein plays an important role in immune function, body tissue repair as well as metabolism and weight management. We just cannot function optimally without it and when trying to lose weight, the power of protein cannot be ignored. What is the single most difficult thing to endure when dieting? Hunger. Your body doesn’t like being deprived of food for long periods of time and will fight back until you give in and eat something substantial. Protein is your best friend when it comes to feeling satisfied for longer as it takes more time to digest protein. 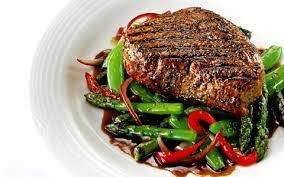 Protein also stimulates the release of hormones that make you feel satiated. Eating protein at each meal will help you to avoid snacking between meals or going back for seconds. Protein has a stabilizing effect on blood sugar as it slows down the absorption of carbs eaten in the same meal. Cravings are easier to control if one doesn’t have to deal with blood sugar highs and lows. Your body uses energy when it processes food. Protein takes longer to digest and, as a result, burns more calories when doing so than either carbs or fats. This is referred to as the Thermic Effect of Foodor TEF for short. It is the number of calories you burn while digesting your food. Protein has the greatest thermic effect with estimates up to 30%. Fat has a very low thermic effect of around 2% to 3% and carbohydrates fall somewhere between protein and fat. For example, when you eat 100 calories of protein, only about 70 calories will remain after digestion for your body to actually use and absorb. Protein therefore speeds up your metabolism more than other foods. “Skinny fat” is when you look slim on the outside but your percentage of body fat is still too high due to a serious lack of muscle mass. It is really not a great look on anyone and is definitely not healthy. Rather aim for being lean and toned. Muscle is the last thing you want to lose when dieting. Muscle loss will slow down your metabolism and make it harder to lose weight. The one thing that is going to help you retain, and possibly build, muscle mass is protein and a decent amount of it. Weight training is another excellent way to develop muscle definition. You have a winning formula for fat loss when a higher protein intake is combined with heavy lifting. The more muscle mass you have, the higher your metabolic rate will be and the more fat you will burn (even at rest). If you are a woman worried about getting bulky, please don’t. You won’t accidentally turn into the Hulk by eating a few extra eggs a day. Gaining muscle is way more difficult than that and requires serious time in the gym and consistently eating in a calorie surplus, which most people who are trying to lose weight are not doing. Yes, protein quality matters a lot. Obviously you need to work within your grocery budget but, wherever possible, choose free-range, wild-caught and grass-fed to avoid the hormones and anti-biotics that come with conventionally raised meat. Soya is not a good protein source as it is more often than not genetically modified and heavily sprayed with pesticides. Watch out for vegetarian or vegan “hamburgers” or “sausages” as they are likely to contain soya. Soya is very damaging to one’s thyroid and can be a hormone disruptor. Cheap processed meat like polonies and Vienna sausages have been linked to a higher risk for cancer so those are also best avoided. Stick with real unprocessed food and you can’t go wrong. Will protein damage my kidneys? Diets high in protein do require our kidneys to work harder but that doesn’t mean protein CAUSES kidney damage. There is no evidence to support this myth. People with pre-existing kidney damage should,however, be cautious and avoid a high protein diet. If your kidneys are healthy, you have nothing to fear from eating more protein. The current Recommended Daily Allowance (RDA) for protein is 0.8 grams per kilogram of body weight. So if you weigh 80 kg then the recommendation is to consume 64 grams of net protein a day. The RDA is the bare minimum required to avoid becoming malnourished. It certainly is not an optimal amount for fat loss and building muscle. Rather target your protein intake to around 1.5g/kg of body weight per day. If you are very overweight, use your estimated ideal weight instead of actual weight to work this out. If you are that 80 kg person, you will be doing yourself a favour if you upped your protein intake to around 120 net grams of protein per day. If you are very active you may want to consider going even higher. What does 120 grams of net protein look like in real life? 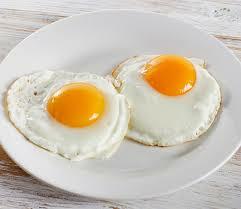 Three large eggs for breakfast, a chicken breast with lunch, and a nice big juicy steak with dinner. Everyone is different, so play around with the amount that is optimal for you. If you enjoy starchy veggies like butternut, carrots, sweet potato, beetroot etc. and feel better when you incorporate some healthy carbs into your diet, then stick with the leaner cuts of meat and get your healthy fats from cooking in a little butter, ghee , duck fat, lard etc. and drizzling olive oil over salads. This will ensure you don’t overshoot on calories. 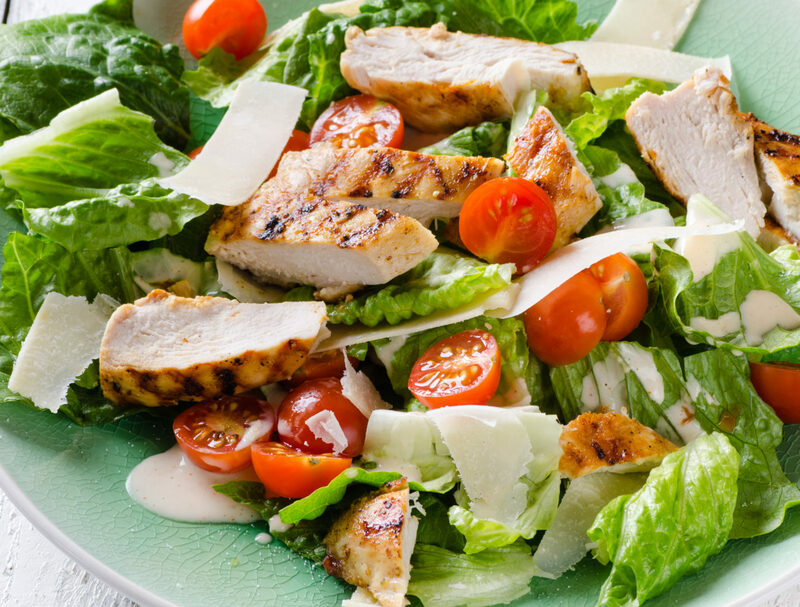 If you prefer a very low carb diet, you can opt for fattier cuts of meat with your leafy greens and cruciferous veggies. If you are aiming for ketosis for medical/health reasons, you will need to monitor your protein levels more carefully to ensure that a ketogenic state can be maintained. Too much protein may inhibit ketosis. Please be aware that ketosis is not a requirement for fat loss. A study published in the American Journal of Clinical Nutrition showed that participants who increased their protein intake from 15% to 30% of total daily calories, spontaneously consumed around 441 fewer calories on the higher-protein intake when compared to the moderate protein baseline. Studies have also shown that dieters who ate more protein had reduced insulin levels, less hunger, decreased food cravings and were able to maintain their muscle mass, resulting in less rebound weight gain. Posted on October 31, 2018, in Primal 101 and tagged animal protein, Banting, benefits of protein, LCHF, power of protein, protein amount. Bookmark the permalink. Leave a comment.